1. Select Item that you want to buy. 2. You will see product Page. - Select options of the color or style. 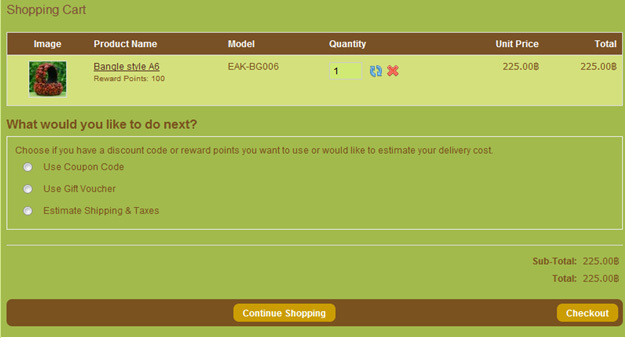 - Click Checkout when you finished. 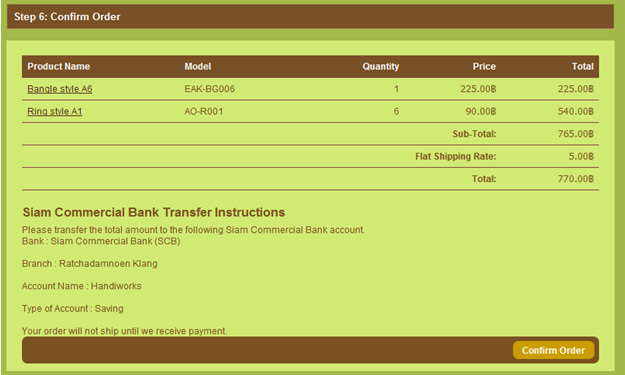 - After click Checkout to make complete your order, you will see step of payment. be our guest or if you are already member you can login to get special price. - choose your address for delivery. 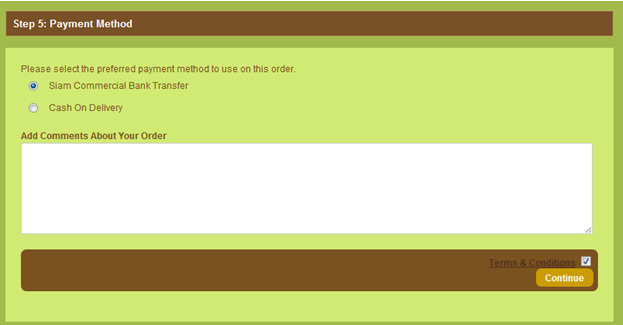 - Click Confirm Order to complete the whole step. Order No., Payment Date and your Full Name to handiworksthailand@gmail.com. have paid the full amount.